Justin Russell and Francesca Atkinson’s Cityscape on Edinburgh’s Architectural Association awards. Comprising interviews with Douglas Reid and winning architect Stephen Boyd of Lee Boyd the clip introduces a language for reading and evaluating architectural form. 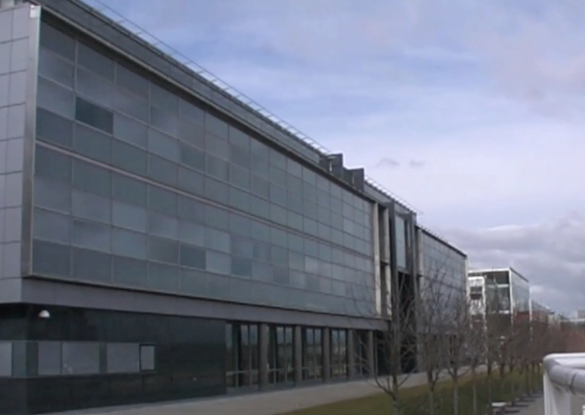 The winning building for Adobe forms part of the prestigious Edinburgh Park set alongside a small lochan extending westwards from the Gyle towards the Pentlands. The building was completed in September 1999 but subsequently fitted out for Scottish Equitable.